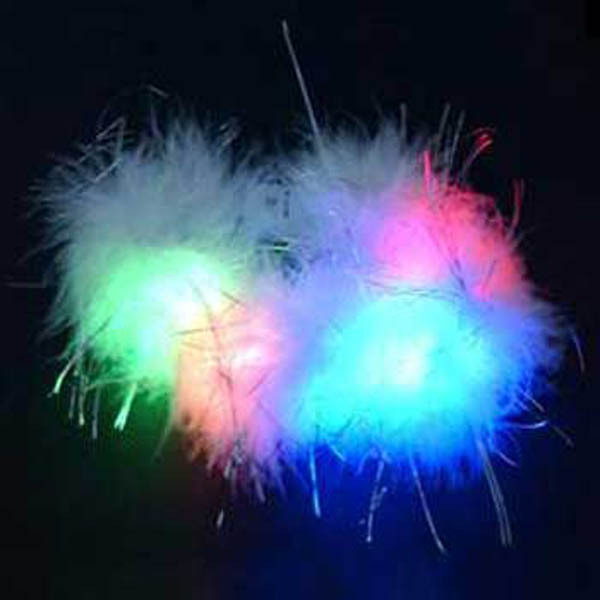 This is a wholesale lot of one case (288 units) of white feather LED flashing bracelets. Each bracelet in individually packed in a resealable cellophane bag. There are 12 bracelets in a resealable master cellophane bag. There are 6 one-dozen bags per inner box (72 units). Four inners to a case of 288 units. It's like a dream come true, sure looks good on you. 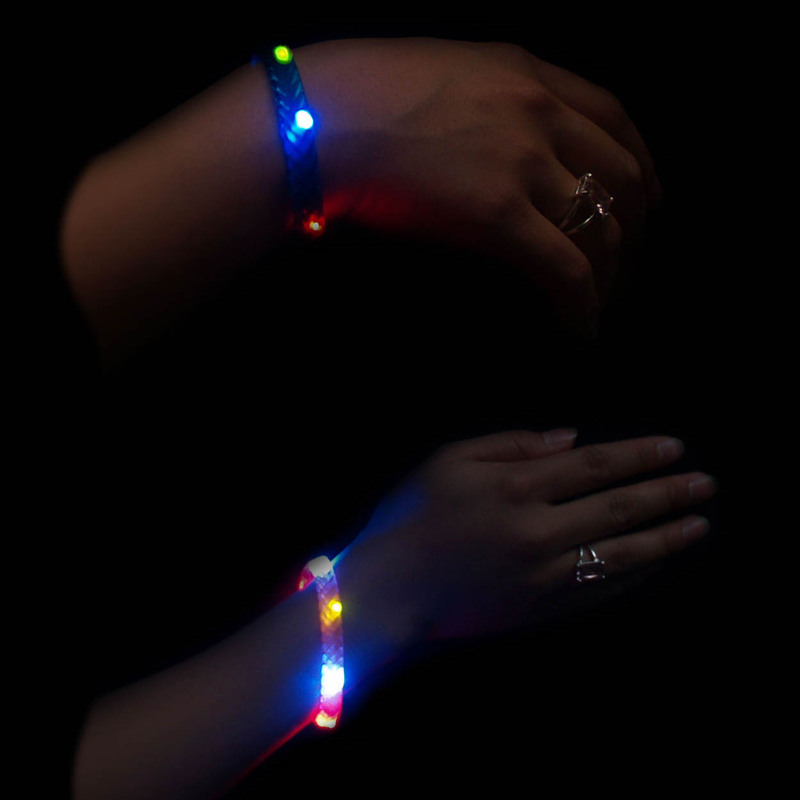 That is, this bright flashing multicolor LED feather bracelet, which will light up your party while you dance and celebrate like there's no tomorrow. 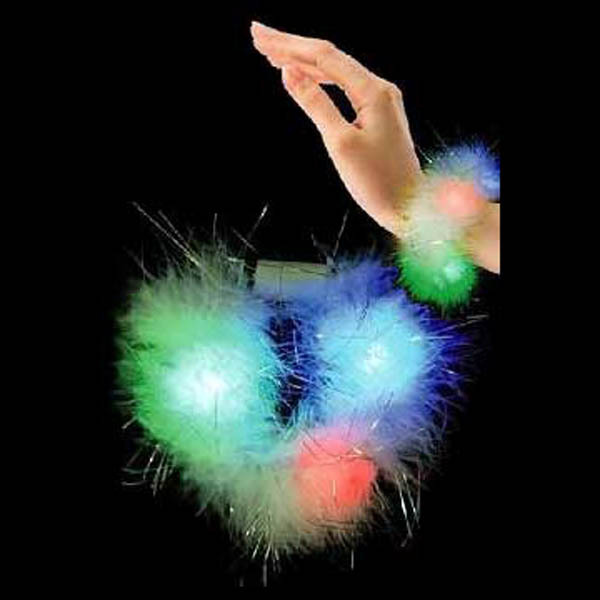 Red, green and blue LED lights throughout the feather bracelet sparkle bright! You're the star. Use them as a fun party favor or use them for a bold night on the town.